I want to start by saying that I don't need this system, having recently completed my Madame Rouge build so I'm giving this 'Old Dog' to a local organization that provides low-income families computers for their children. Honestly, it wasn't that difficult to get it working again*(see comment below): it was just dirty inside the case, the thermal paste was nearly gone causing it to overheat, and the only stick of RAM (2GB) was bad. It had a low profile graphics card in it which looked to be in good shape, and at the time I didn't know which card it was. After a bit of research I discovered that it's a Low-Profile EVGA GeForce 210 (1GB). So I cleaned it out really well- applied new thermal paste, upgraded from a Core 2 Duo E8400 to a Core 2 Quad Q9550 that I found for $45, I got 4 x 2GB sticks of matching RAM. a SATA power cable splitter to allow for two HDD's, one of which is a 120GB SSD that I had on hand; the other HDD is the Seagate 160GB drive that came with the system. I also included a Nano USB WiFi adapter which cost me $8 from Newegg, just because I felt like it. Works really well too. *I have to say that there were some complications that I had not foreseen, but it was a result of my tinkering with it; I thought that I'd be clever and use the low-profile Gigabyte 750Ti that I have on hand but discovered that it wouldn't fit properly unless I left it looking 'ghetto'. (Admittedly the 210 looks ghetto in the system as well, but not as much as the 750Ti does. :-P ) I don't have the time nor the resources to mod the case to make it fit so I changed it back to the GeForce 210 that came with the system. Little did I know that going from the 210 to the 750Ti then back to the 210 would cause Windows 10 to go haywire and not boot properly. I debated between doing a fresh install or going with the built-in Windows reset feature, but since I have never used the reset feature I went for it and it does indeed work. Takes a long time to reset, but it did work. I then re-installed the 210 drivers and all is well with 'Old Dog'. For being an old CPU, it runs really well. I had no issues with it shutting down or running benchmarks. For $45, I think I did well. 8GB of RAM makes this old rig seem refreshed. A wise $30 investment. It might not be the best SSD on the market, but it is an order of magnitude improvement over the included 160GB Mechanical HDD. Not a bad OS. Does what it needs to do and should you screw up like I did it has the ability to reset itself. This little guy works great. 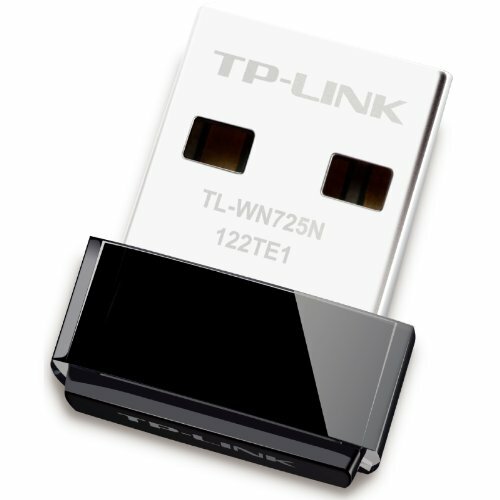 Sure it won't have the range/speed of a PCI-E card, but if you want quick and painless WiFi you can't go wrong. Thanks! I figure that $80+ in upgrades is worth the cost of helping others. :-) Plus, I like playing with systems so I keep my skills up and have some fun at the same time. You can always find optiplex's of any kind on the cheap. The cases didn't (if at all) change over the models. True enough. I'm also kind of interested in seeing what else is out there though. It's very interesting to see how you can upgrade older systems (assuming they have an upgrade path) for little money. As an example like what you did. A small SSD, new CPU chip, new paste, and viola. System can handle basic tasks with ease. Very nice. Good to see folks helping others out. Thanks for posting. I hear you. I know that feeling is awesome. Check this build out, it's the greatest sleeper PC I've ever seen in terms of design. Really cool of you to do that for charity. Thanks! Before I gave it away I did some testing on it and it's not that bad of a system for general productivity use. Since the Q9550 is has a higher wattage than the E8400 (95W vs 65W) did you notice any thermal issues in running it? I would assume the temps were way better simply because it didn't have the crappy heatsink compound on it anymore. Thinking about doing a similar upgrade for my own computer. No, I didn't notice any thermal issues. Unfortunately I didn't have it long enough to do any thorough testing. I decided to go with a processor that was recommended in the tech guide, and being able to find one for a cheap price sealed the decision regarding the Q9550. The RAM upgrade was the other cheap upgrade option and even though it's not 'Windows 10' recommended, it handled the win 10 install just fine. Nice build! That 210 is sweet!